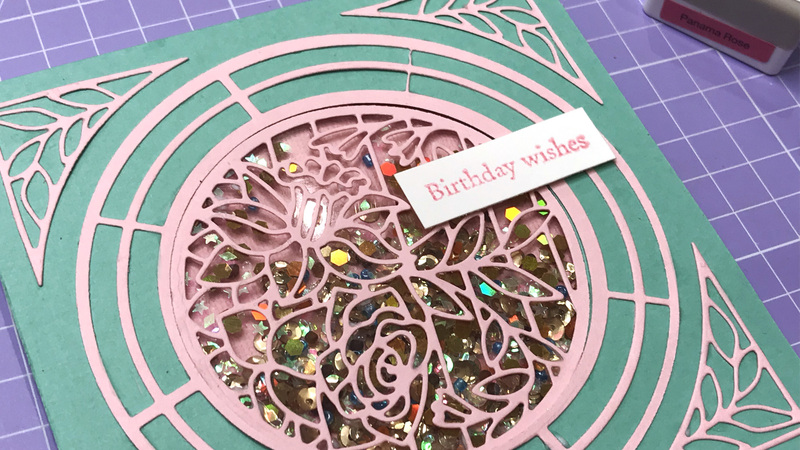 The Tonic Studios Cardmaking Collection Kit 8 is here and you won’t want to miss it! We’ve fallen head over heels with the 11-in-1 Rose and Daffodil Stained Glass Window die set included. It’s one of the most versatile dies we’ve seen and you’ll be inspired by the 78 beautiful projects you’ll find in the ideas magazine. We decided to use our die to create a quick shaker card. The circle dies included in the die set are perfect for creating apertures for shaker elements. We used acetate to secure our sequins, however you can also try a sheer material like tulle or even vellum for a softer look. Shaker cards can be intimidating, but with the right foam tape and patience you can create striking cards that don’t take much time. Watch the video below for step-by-step instructions for how to make a shaker card. • Over £500 worth of Tonic Studios prizes to be won! Get your copy of the Tonic Studios Cardmaking Collection Kit 8 at Craftstash!